Sound effects often take a backseat when talking about the standout elements of a game. Perhaps that's because most developers don't seem to have put as much thought into their audio design as their graphics. After all, you can't hear a screenshot. 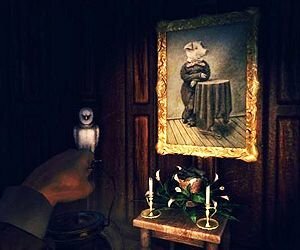 And even when playing a game, usually the best soundscapes are those you barely notice are there – subtly, almost subliminally creating an immersive atmosphere that sets the stage for the visible action. But when you encounter a game with masterful sound design, and take a moment to stop and appreciate its underlying emotional impact, you realize just how much that extra effort can add to the experience. Sometimes, though, you may have to travel to the most unusual of places to find such a game. 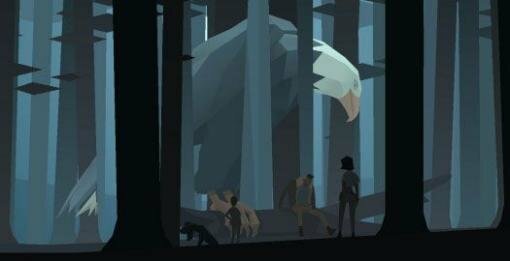 Kentucky Route Zero is a quiet game, even by the standards of a genre that isn't known for bombast. There is little music, no voice acting, and the sound design itself is pure minimalism. But less can often be more, and the first two Acts of this series illustrate that credo beautifully. Fields of grass blowing in the wind, singing crickets, semi-trucks passing in the distance… With just a few sounds conservatively sprinkled throughout each episode, Cardboard Computer has built an incomparable sense of place. The game gives players just enough aural cues to fire up the imagination before stepping back and letting that imagination fill the gaps in this surreal slice of southern Americana, and in doing so it earned our nod for Best Sound Effects of the year. While the sequel to The Dark Descent wasn’t as favourably received as its outstanding predecessor, it certainly wasn’t the fault of its excellent sound effects. Crucial to any horror story, the soundscape here is filled with excruciating (in a good way) industrial sounds that perfectly suit the horrific environments. It deserves to be played in the dark with headphones on... if you dare. It also deserves the readers’ Best Sound Effects Aggie for 2013. Next up: Best Independent Adventure... the envelope, please!